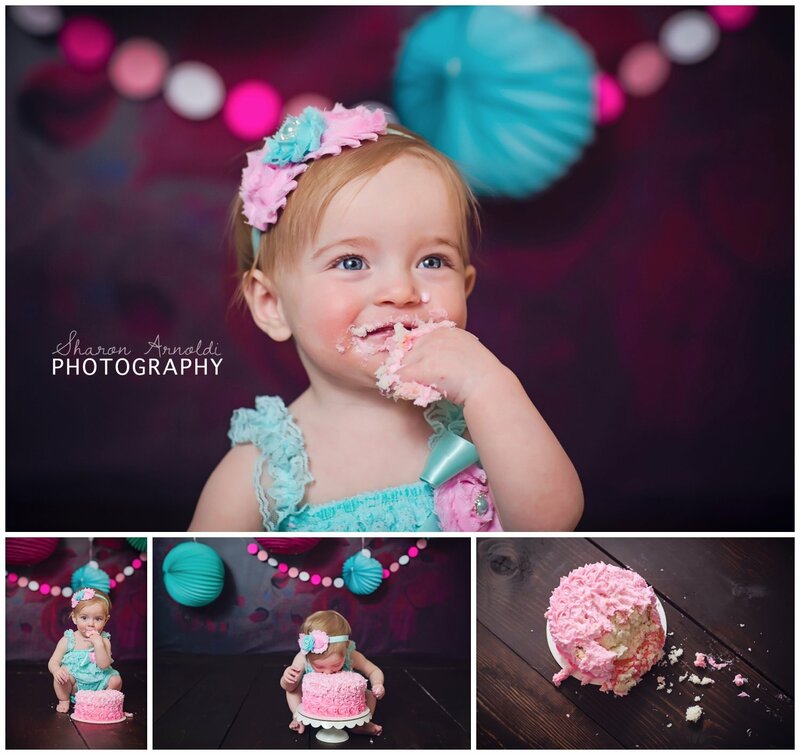 Oh if we could just bottle up the sugary sweetness of Harlin at her cake smash! 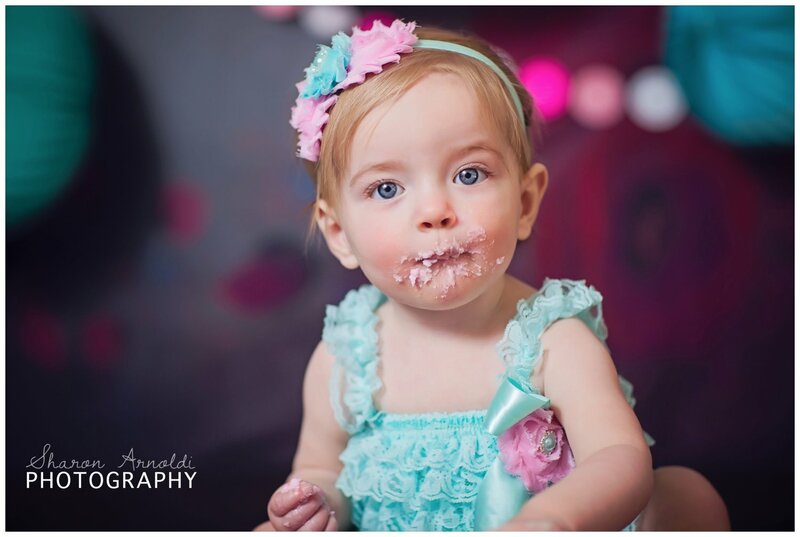 We loved everything about this session...from the girly pink and mint colors of the set...to getting messy with this sweet girl! 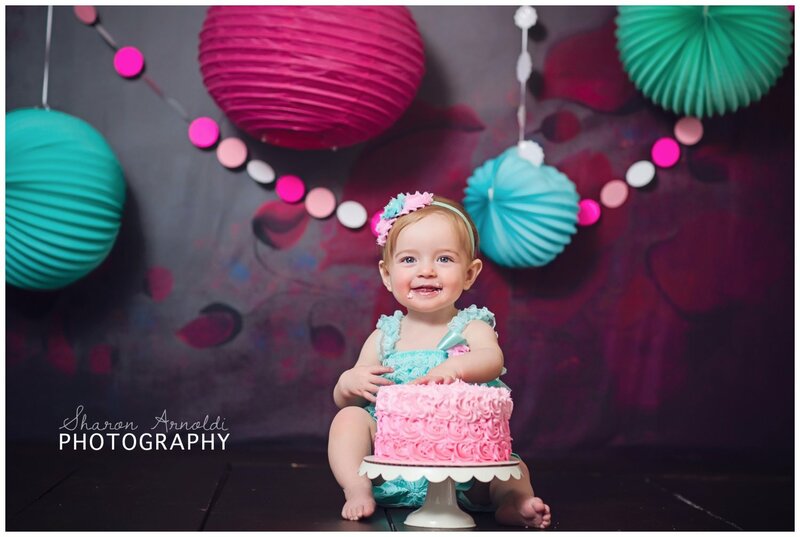 We always love getting crafty and designing a custom set with bright colors and fun props, and were super excited to get to use one of our new backdrops! 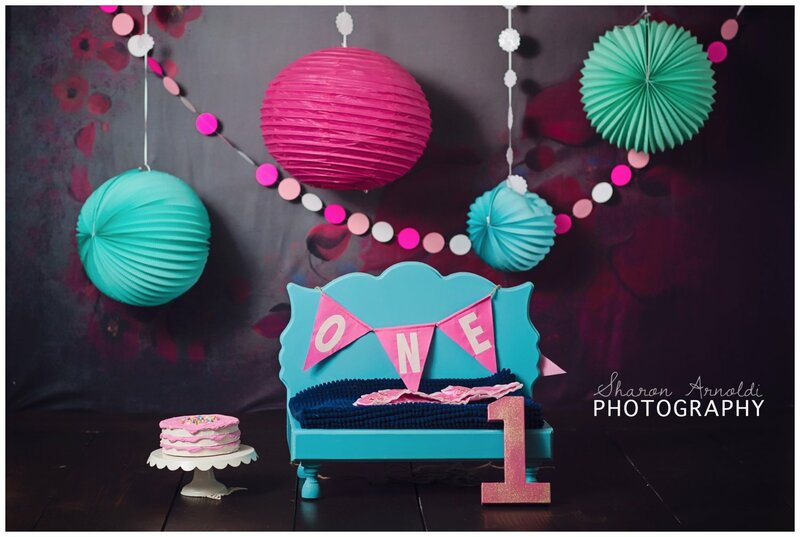 It really made the lanterns and garland pop! 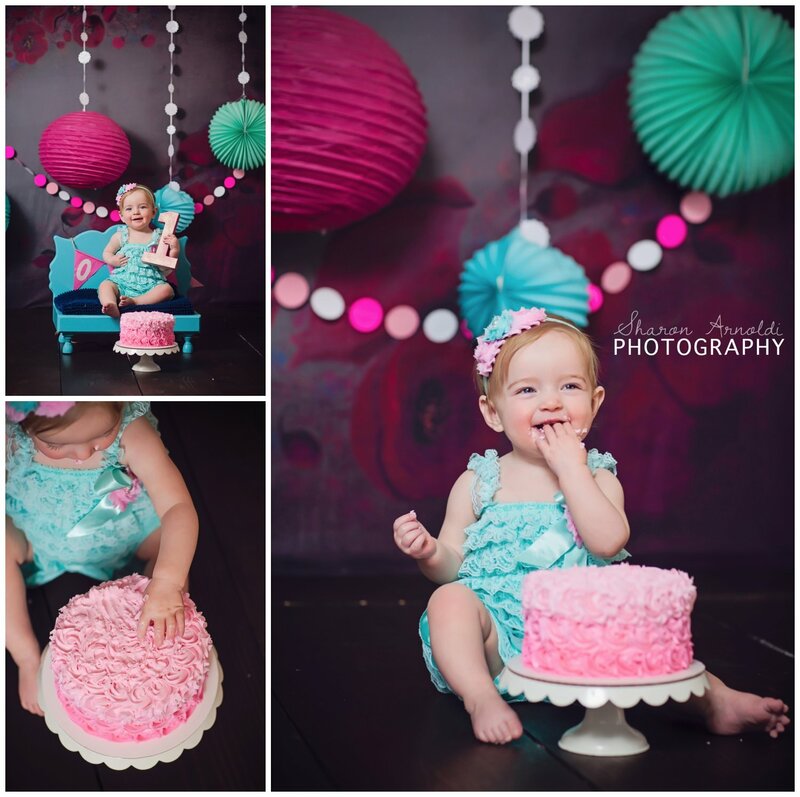 We also loved her adorable outfit and beautiful cake! But most of all we loved the pure joy of all her smiles! Happy birthday Harlin!